Sophisticated technology allows a security admin to return to an earlier point in time to see what their staff was doing, and to see on a map where they were precisely located during that time. Go back a matter of hours, days, or years. 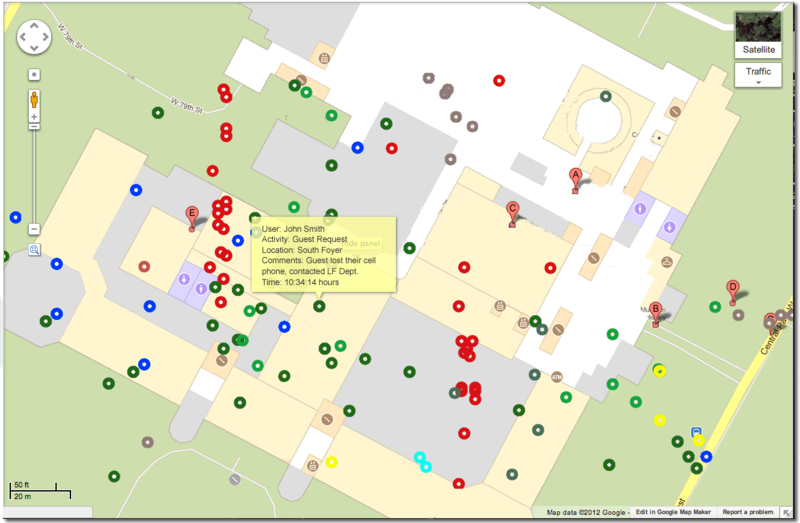 All staff activity within your selected dates is shown on the map in precise detail. Moving your mouse over any of the numbered pins on the map reveals additional details about that moment in time - what officer or guard was at that location and any remarks they added. A powerful investigative tool that can also be used for training purposes or to compare how one staff conducts tours compared to the others.